Bresha Meadows was 14 years old in July 2016 when she allegedly used the gun that her father had brandished for years against her and her family (terrorizing and abusing them) to shoot him in his sleep. Bresha long learned to fear her father who had repeatedly made threats to kill her and her family. She was arrested and prosecutors refused to release Bresha while she awaited trial. The threat that she might be tried as an adult hung over her head until public pressure forced prosecutors to announce in December 2016 that she would be tried in juvenile court. On May 22, 2017, Bresha submitted to a plea deal that would keep her in juvenile detention for a full year (which includes 10 months of time served) and an additional 6 months of confinement in a mental health ‘treatment” facility. During her months of detention, Bresha was put on suicide watch multiple times. Juvenile detention compounds trauma, it doesn’t heal it. 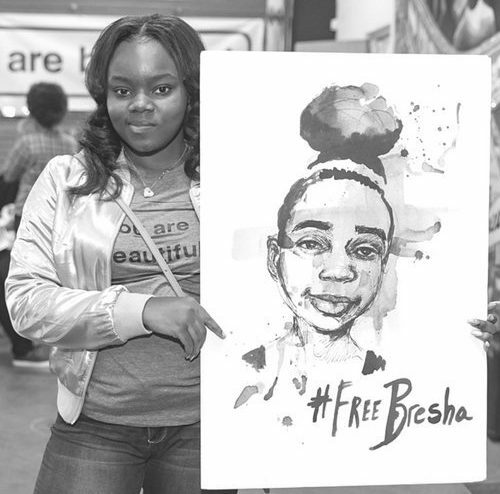 Bresha is just one of tens of thousands of incarcerated girls and young women across the United States. Understanding the details of how Bresha has been treated is instructive on how the criminal punishment system is a destructive force against children and youth, especially those who are Black. Bresha’s family and legal team credit popular support and organizing for pushing the state to offer Bresha a plea that prevented her from spending many many years behind bars. 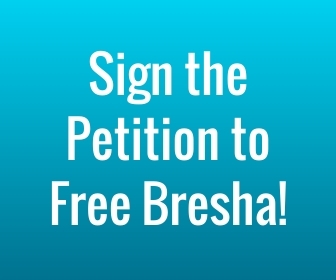 Write Bresha a letter of support and encouragement. Writing letters and sharing your support is an integral way to reduce the isolation of incarceration. For tips on letter writing to people in prison, check out the letter writing section in the #SurvivedAndPunished toolkit or tips from the California Coalition for Women Prisoners. This video was conceived by Mariame Kaba and narrated by CeCe McDonald. Directed and produced by Dean Spade and Hope Dector. Audio editing by Lewis Wallace. Audio recording by S.O. O’Brien. Artwork and photographs by Sarah-Jane Rhee, Molly Crabapple, Monica Trinidad, Kara Rodriguez, Bria Royal, Viko Alvarez, Ari Levin, Molly Costello, and Kathy Liang. Created by the Barnard Center for Research on Women and Survived and Punished. More videos like this at the Survived and Punished website.